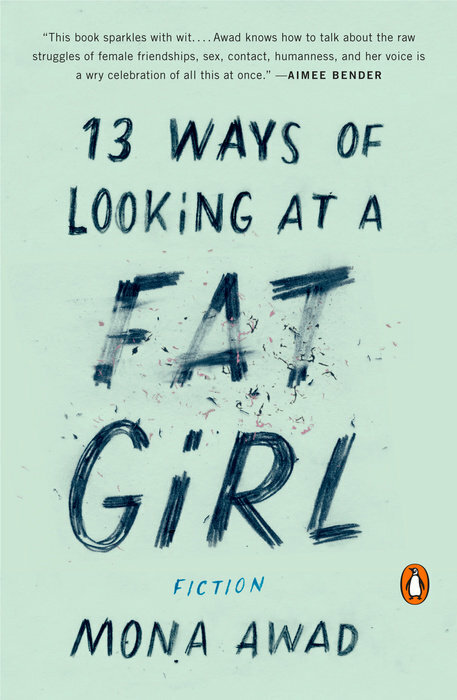 I’d seen 13 Ways of Looking at a Fat Girl in a profile of “upcoming Canadian reads“. I’d been given a couple of book gift cards for Christmas, so I ordered it in advance. The reviews on the back cover said it was: “Full of sharp insight and sly humor”, “hilarious and cutting”. The back cover copy said it was: “brilliant, hilarious, at times shocking”. I didn’t think it was particularly funny. It is, however, a book about a profoundly uncomfortable woman, Lizzie, who struggles with her weight and body image. She is plump and young, she ages, she gains weight, she loses weight, she gains it back: she hates herself and her fat throughout. Other reviews I’ve read say things like: the book is “just as much about fatness and body image as it is about the harsh judgment that women cast on each other and themselves” (the Rumpus). Or: it “genuinely highlights female cruelty as a byproduct of this obsessive journey to becoming thin. Young women judge, berate, and even loathe each other, becoming necessary competitors in a battle that doesn’t benefit them beyond external approval” (The Globe and Mail). I know that some young girls do that – like teenaged ones whose brains haven’t yet developed. I know that it happens, but it’s not normal or healthy. Let’s call it what it is: a sickness. It’s a symptom of an illness, and it’s not socially acceptable. Describing it, or behaviours like it, as something all women do, or that society forces us to do, is both demeaning and absurd. But other descriptions – that the book is “beautifully told and profoundly sensitive”, that some scenes are “complex, visceral and heartbreaking” – I very much agreed with. At one point, Lizzie loses her mother: in some scenes, you see her grief layer atop her self-loathing, her obsessiveness with her figure and calorie counting. You see how she is loved, and cringe that her obsessiveness prevents her from being able to return that affection. Her cruelty is not relatable, but wrenching. I didn’t think it was funny, but I did enjoy it.